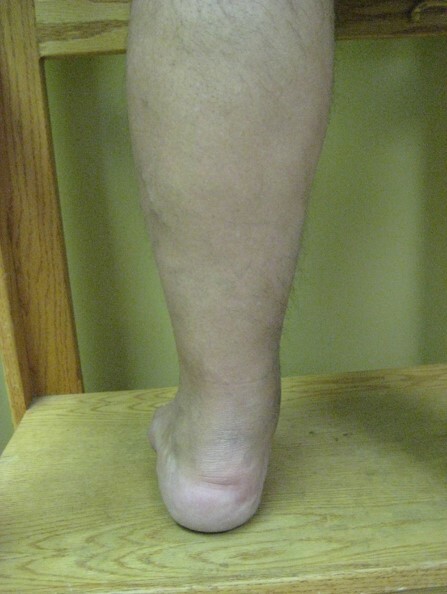 C3 – denotes the presence of edema (swelling) of the ankle. Best visualized from the back rather than the front. This is defined as a perceptible increase in volume of fluid in the skin and subcutaneous tissue characterized by indentation with pressure. Venous edema usually occurs in the ankle region, but it may extend to the leg and can involve the foot. Most people recognize swelling but typically do not understand or know the source. Swelling can be an external sign of a vein problem called venous insufficiency. Venous insufficiency is more likely to be present in patients who have vein-related symptoms such as chronic pain and/or discomfort, leg heaviness, leg fatigue, leg swelling, itching, or leg cramping. Swelling can be associated with varicose or spider veins. Swelling may involve one or both legs. Swelling in only one leg may suggest a blockage to the blood flow in the vein. This may be more serious. The exact location of swelling, such as involvement of the toes, may suggest a disorder of the lymphatic system, termed lymphedema. Swelling in one leg, if chronic, may also indicate a lymphatic problem. Swelling is caused by impaired drainage of lymphatic fluid. An acute painful, swollen leg is very serious. If this occurs, urgent medical attention is indicated. 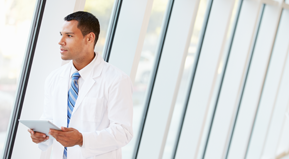 The treatment of any venous problem should begin with a comprehensive consultation with a vein specialist. Symptoms are often eliminated or greatly improved with treatment. Conservative treatment such as wearing compression stockings may alleviate or reduce symptoms. 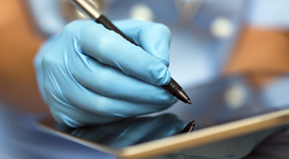 When patients seek medical attention, a diagnostic test might be useful in determining the exact cause of the problem. Vein disorders are not always visible; diagnostic techniques are important tools in determining the cause and severity of the problem. In addition to a physical examination, non-invasive diagnostic “duplex” ultrasound is often used. Duplex ultrasound can accurately detect venous blood clots and abnormal blood flow and can often discover the root cause. Physical therapy may be indicated to assist in fluid/edema reduction. There are a number of reasons why swelling occurs. 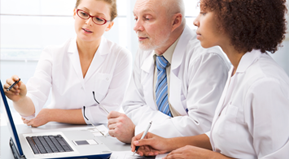 Physicians refer to these causes as risk factors. As people age, conditions typically worsen. Small problems that started earlier often progress into larger ones. If you have immediate family members who have venous disease, chances are that you may develop one as well. Vein disorders are hereditary. Soft tissue injuries can often result in the onset of swelling due to damage of the venous or lymphatic drainage. This can happen as a result of an impact injury, such as getting hit with a ball or another hard object. Trauma can subsequently lead to thrombosis. Varicose veins in that area of your leg may appear. Many women notice large numbers of new veins during their pregnancy for this reason. The physiologic changes that a woman undergoes during pregnancy place her at risk for the development of venous disease. Swelling is a common complain among pregnant women. If you have swelling, you may notice that the condition worsens while standing or sitting for long periods of time. Teachers, nurses, flight attendants, hairstylists, sales clerks, etc., are very prone to developing end of day swelling. 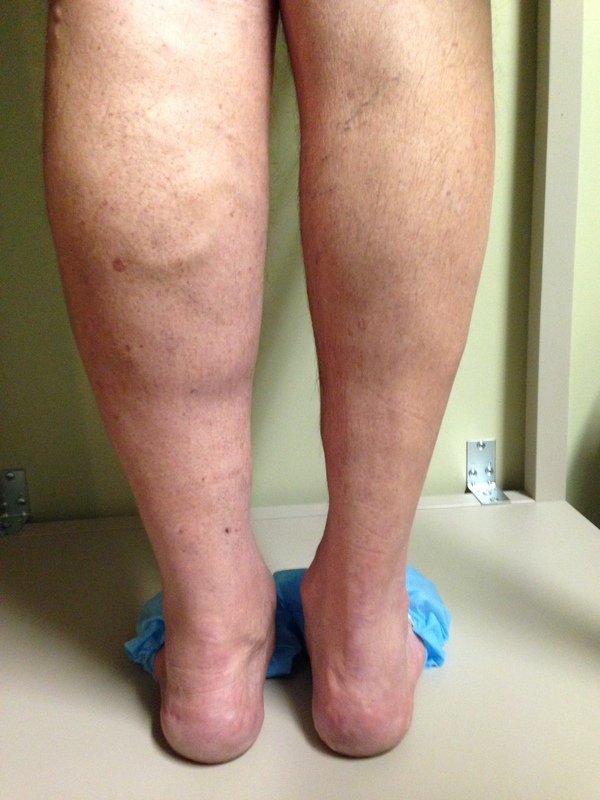 An underlying venous problem may be present when swelling is evident. The presence of swelling may be a sign of heart disease, kidney disease, or other medical problems. A patient with swelling should seek medical care. People often assume that weight is a risk factor in venous disease. While many patients find that they feel better when they maintain a healthy weight, the actual influence of weight and the incidence of swelling is not clearly known. Blood clots: often familial but a very important risk factor for venous disease.